The Wednesday Club is Geek & Sundry’s weekly talk show chatting about all things comics. This week, hosts Matt Key, Taliesin Jaffe, and Amy Dallen were joined by professional costume fabricator Manzi DeYoung to talk superhero costumes on screen and on the page. Manzi has worked on shows like The Flash and Titans (coming soon to a digital streaming near you), as well as on films like Suicide Squad and Pacific Rim 2. She shared her extensive knowledge about putting together superhero costumes in real life that look amazing on the big and small screens. 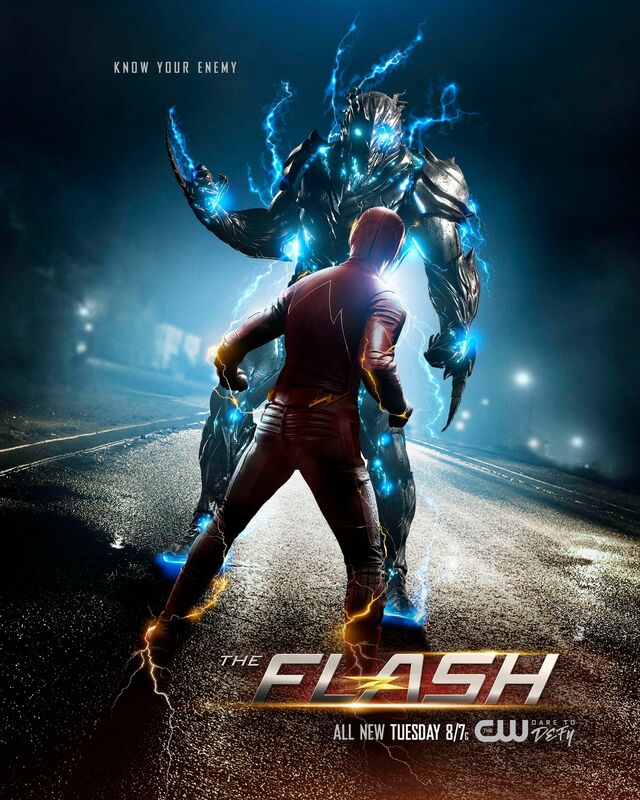 Savitar, the Big Bad of The Flash‘s third season and one of the costumes Manzi worked on, had a lot going on beneath the surface of the eye-catching costume. Manzi answered costuming questions from The Wednesday Club hosts and revealed tantalizing tidbits about some of your favorite superhero suits. Many of the costumes, from Captain America to Black Lightning, have a special textured print on the suit that makes it look dimensional and visually interesting on screen. While the hosts didn’t recommend any specific books this week, they did talk about Wonder Woman’s new costume direction (or lack thereof) in the 1960s, Superboy’s leather jacket phase, Jon Kent’s costume in Super Sons, and Harley Quinn‘s ever-changing look. Matt also mentioned Secret Wars: Requiem, which captured all of Janet Van Dyne’s costumes over the years. As a fashion designer in the Marvel universe, Janet Van Dyne sported a different costume in almost every issue she appeared in as the Wasp.